Darley collapsible water container made from food grade, FDA-approved material that remains flexible even in extreme cold. 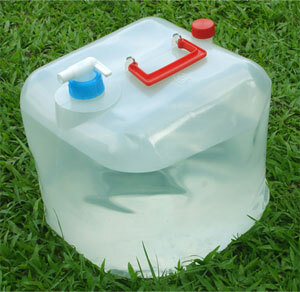 This is the original and still the finest collapsible water container available. The spigot design is easy-pour, leak-proof with an on/off feature. The sturdy handle folds down for compact storage. Ideal for emergency water storage and transportation.